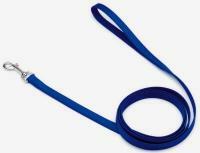 The perfect 2-n-1 design for securing your dog safely out of range of the driver when traveling by car. 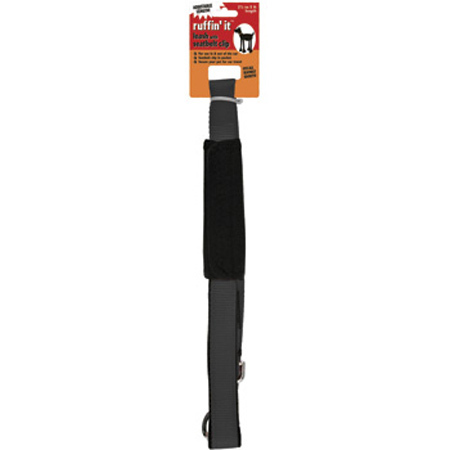 •Adjusts easily from 5' walking length to a 2 1/2' car travel length. •Seatbelt clip is concealed in pocket, fits all seatbelt sockets. 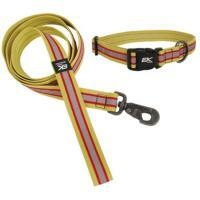 •Attaches to collar or harness. •Great for trips to the dog park or anywhere. •Measures: 1" W x 2 3/4" to 5' L.